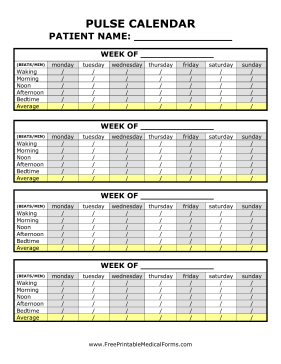 If you need to track your pulse over the day, this pulse calendar will help you keep accurate records. There are five spaces for pulse measurements and an additional space for the average pulse. One page covers four weeks.